ANDOVER, Mass. – October 6, 2017 – Schneider Electric, the global specialist in energy management and automation, today announced the Wiser Energy™ System, an integrated energy monitoring system thatallows residential users to manage their energy use. A must-have for any energy-efficient home, Wiser Energy solutions provide real-time, easy-to-understand, actionable data to help home owners manage their energy costs making their home greener, efficient and wiser. As energy costs continue to rise and time of use tariffs evolve, home owners are demanding a solution that gives them insights about their home energy use. The Wiser Energy System provides clear, easy-to-understand charts and graphics that will give home owners insight into how and where their energy is spent enabling them to modify their usage habits and save money. Homeowners with solar installations will be able to monitor energy generation and understand the real-time impact of solar on their energy bill. Electric vehicle (EV) owners will learn the cost of charging their cars at different times of the day helping them optimize their charging costs. Electrical contractors and solar installers can use the Wiser Energy System to monitor their customers’ energy consumption and solar power generation and remotely diagnose issues. This visibility enables them to reduce their service time and costs and improve customer satisfaction. 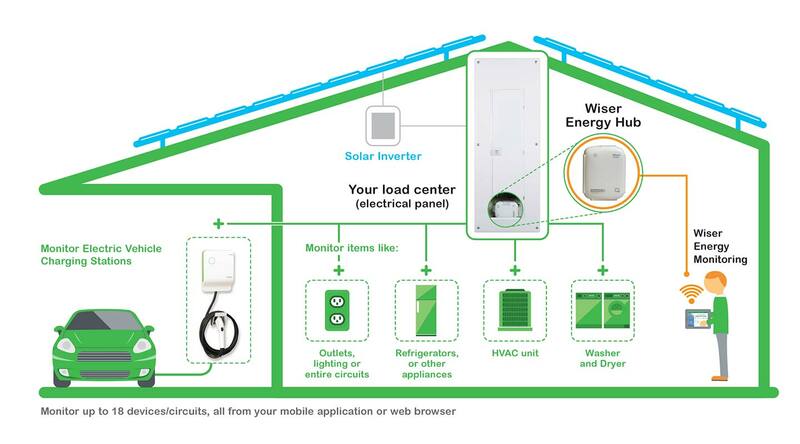 The Wiser Energy System is designed for both new installation and retrofit applications and can be easily combined with Square D by Schneider Electric™ electrical systems and home protective devices. “We are proud to launch the Wiser Energy System in the US. We believe in the future of digitization, and this offer will promote our vision and bring us closer to our customers,” said Ansul Rajgharia, business development manager, Schneider Electric. To learn more about the Wiser Energy System, please visit www.schneider-electric.us/wiser-energy.